Whether you've spent years saving and preparing to buy a home, or are unsure if you can afford it, the questions surrounding a house purchase can feel endless. You can find the answers - and peace of mind - by working with Team Teasdale Realty. Here are some tips to help you. The first step is to select a Realtor to help you find your dream home and fine-tune your financial expectations. Working with a buyer agent is worth consideration since he or she is legally responsible for representing the buyer's interest in a real estate transaction. A difference of even half a percentage point can mean a huge savings over the life of a loan. For example, the difference in the monthly payment on a $100,000 mortgage at 8 percent vs. 7.5 percent is about $35 per month. Over 30 years, that's $12,600. Ask a member of Team Teasdale Realty to suggest a few different reliable and honest lenders that can help you with your loan. Choose the lender that is the best fit for you. Your third step should be to get prequalified, which determines how much you can afford. It allows you to move swiftly when you find the right home, especially when there are other interested buyers. 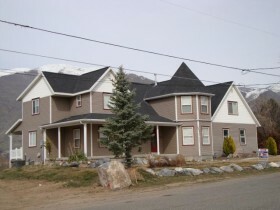 It also indicates to the seller that you are serious and really can afford to buy the property in Utah County. Every buyer should have a pre-qualification letter in hand before shopping for a home. Buyers and banks will request your letter once you make an offer. The next step is to create a realistic idea of the home or condo you'd like to buy. What features are most important to you? Make two lists: one of the items you can't live without and one of the features you would enjoy. Refine the lists as you house hunt. It is also helpful to search online to see what is currently available on the market. Your real estate professional can then show you houses that meet your expectations. Now you're ready to visit houses. Ask Team Teasdale Realty to arrange showings, and keep track of the properties you've seen. Fill out our Advanced Utah Real Estate Search. We call this our "Early Bird Club." We get the listings to our buyer clients first. In some areas, a swimming pool actually detracts from a home's value and makes it harder to sell. In neighborhoods with two-car, attached garages, a single-car or detached garage may impact the home sale and future value. Team Teasdale can point out features that hurt or help resale value. Once you've pinpointed your dream house here in Utah County, it's time to get serious about the financial and contractual side of the purchase. Team Teasdale Realty will be a strong advantage since you and the seller have different goals. Our objective is to get you the best price and terms on the home you have selected. After your offer is accepted, set up a Home Inspection with a Utah County Home Inspector. It's common to find problems, including leaky roofs, cracked walls, insect infestations and foundation problems. Team Teasdale can help find a reputable inspector, and will negotiate to get you the most for your money once the inspector's report is final. If you negotiate repairs as part of the purchase, ask for a "walk through" before finalizing the paperwork. Ask Team Teasdale Realty about home protection plans, which may save you money in the near future. Before your closing date, make sure you've made all necessary deposits and completed the paperwork including mortgage, title, homeowners insurance and any other paperwork required by the state of Utah.